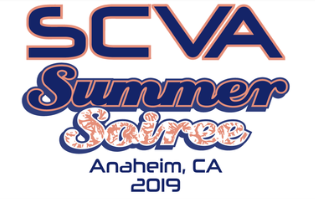 The 16 Surf, 15 Surf & 14 Surf teams will attend the SCVA Summer Soiree in Anaeim, CA. All Kraken athletes must be be in Anaheim by Wednesday evening, June 19. The last scheduled matches on Sunday will start by 3:00PM, we will travel back to Seattle on Sunday. Flights to Seattle should not be booked for a return prior to 6:00PM. Parents are responsible for booking and the cost of air travel for their athletes. We know that families may take advantage of frequent flyer miles and this allows the most flexibility. Athletes must be in Anaheim and checked into their assigned team room preferably by 10PM on Wednesday evening. Return flights must NOT be booked before 6:00 pm as the last scheduled matches on Sunday are at 3:00 pm. Once you have booked your athlete's airfare, please make sure to complete the Athlete Airfare Log at the below link. Please see below for staff flight information. For those athletes traveling with a parent or without a teammate's parent, Kraken will also shuttle those athletes to the airport for return flights on Sunday night. Coaching staff will begin arriving in Anaehim on Wednesday morning and the last coaches will fly home in the late evening on Sunday. Ground transportation for the athletes and coaching staff is facilitated by the club. Kraken will utilize a mix of ground transportation options for this trip, including car services, to transport the teams to and from competition venues, hotels, team outings and the airport. For athletes traveling with out a parent or a teammate's parent, it is preferred that athlete's travel on the same flights as the coaching staff. Kraken athletes will stay in team rooms. The hotel has a very limited # of rooms in a parent block. You must book using the instructions below. The rooms are on a first-come first-serve basis. The housing service has advised that they reserve the right to honor reservations booked in the block based on actual availability. The total inventory available in the tournament block is adjusted manually by the housing service every business day. The will attempt to accommodate every guest and reserve the right to assign other comporable hotels in the area. In order to book a parent room in the very limited parent block, you must click on the below link and use the below Group Booking Code. 1 nights stay will be charged to the credit card used to book as a deposit, 30 days in advance of check-in. There are no cancellations after May 19th for individually booked rooms.